There are advantages and disadvantages of each. We have put together a simple guide that explains the pros and cons. In April 2017, there was a fundamental change to the taxation rules for freelancers and contractors operating a limited company (PSC) and working for a public sector body, including the NHS, social care, local authority, police and armed forces, public sector education, BBC and Channel 4, Network Rail. You need to consider your circumstances and weigh up the options to decide how to operate. You also need to evaluate the risk and what beneﬁts you get so that you don’t lose out. The responsibility for determining IR35 status has now transferred from the individual operating the PSC to the public sector body they are working for, even if the assignment is through an agency. Agencies and public sector bodies will deem most contractors as caught by IR35 and operate “deemed payments”, in other words deduct the same amount of tax and NI they would for a normal full-time employee. This, together with the removal of the 5% tax-free allowance and the changes to ﬂat rate VAT means that the take home pay between PSC and Umbrella contracting in the public sector is very similar, although both are probably still better than being employed directly. If the public sector body decides your contract is caught by IR35, you will be paid “deemed payments”. In other words, they will deduct PAYE and National Insurance from your pay, before paying it to your limited company. When it comes to contracting, freelancing or locum working, there are two common ways to operate and get paid. There are advantages and disadvantages of each. We have put together a simple guide that explains the pros and cons. Umbrella companies oﬀer ﬂexible workers employment. They take care of all the tax and National Insurance contributions and all the administration. The service is typically very simple and easy to understand. As an employee of the umbrella company you are entitled to statutory employment beneﬁts. Contracting under a limited company means you are responsible for establishing your company and for submitting all relevant tax and business documentation to HMRC. You will need to establish your limited company and open your business bank account before you can begin operating. The director controls invoicing, the company bank account and decides on how much to pay themselves, which is made up of a combination of salary and dividends. Your limited company's contract can either be with the end client or the recruitment agency and as long as the contract falls outside of IR35, there are a number of tax expenses you can claim. 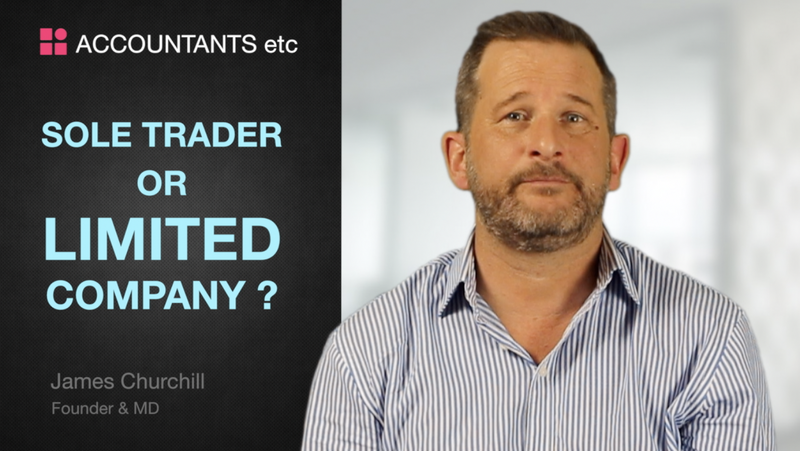 You will typically take home around 75%-80% of your contract by working through your own limited company. Registering with an umbrella company is quick and easy and can often be done online or over the telephone. You will just need to sign a contract and submit a few documents to prove your identity. To get paid you simply need to submit your timesheet and expenses. Some umbrella companies even oﬀer SMS pay alerts to give you peace of mind. You don’t need to worry about calculating Income Tax and National Insurance contributions, all this is done for you by the umbrella company. Umbrella companies are your employer and will oﬀer you statutory employment beneﬁts, including at least 28 days holiday, national minimum wage, antenatal, maternity and paternity pay. Since many umbrella companies look after large numbers of employees, you will probably benefit from comprehensive insurance cover and other perks and discounts to add value to the service. Working through an umbrella company is perfect if you want to put ﬂexible working to the test before making a longer-term commitment, or if you are only going to be working as a contractor for a short period. You are not bound to any umbrella business and can easily switch to another umbrella company or set up a limited company. You do not have as much control over your business activities as you would with a limited company. You also have to rely on the umbrella company processing your invoices and promptly collecting your money. An umbrella company will not support your business plans if you want to develop beyond working as a contractor. Remember that you are an employee of the umbrella company. If you earn income outside your contract you will need to ﬁnd a way of being paid – be it a new umbrella, limited company or self-employed. Dependent on your umbrella arrangements you will probably have to claim tax relief on your expenses through a self assessment tax return or a P87. If you use an FCSA-approved Umbrella company you are safe, but it is a fact that there are some less scrupulous operators who claim to be umbrella companies. You must ensure that any deductions are being paid to HMRC and you are not going to face an unexpected tax bill. If your take home pay sounds too good to be true – it probably is. It could be a tax avoidance scheme that may come back to haunt you in the future. You are in complete control of your business activities. Having your own limited company also means you are regarded as an established, professional business. Traditionally a limited company may provide you with a higher take-home pay as you can decide on the most tax-eﬃcient way of taking your money (this may not be the case if you are caught by IR35). Since you are running your own business you can undertake activities outside of your normal contracts. If these are not caught by IR35, this part will be outside the deemed payments. Your company is a separate legal entity to you, so your personal ﬁnances and assets should be protected in the event of a claim against your company. You can put certain business expenses through your company and take advantage of tax relief on lifestyle benefits, including pensions and life insurance. If you have been operating as a PSC, switching to an umbrella company will mean changing over to a new system and learning new processes. If you switch agencies you will probably also need to change umbrella provider. Starting a company requires that you register a company name, address, directors and creating an articles of association document. You will also need to set up a business bank account. You are likely to have problems doing this if you have ever had CCJ’s or been made bankrupt. As the director of a limited company you are responsible for managing your company accounts and ensuring you operate your business in a compliant manner. 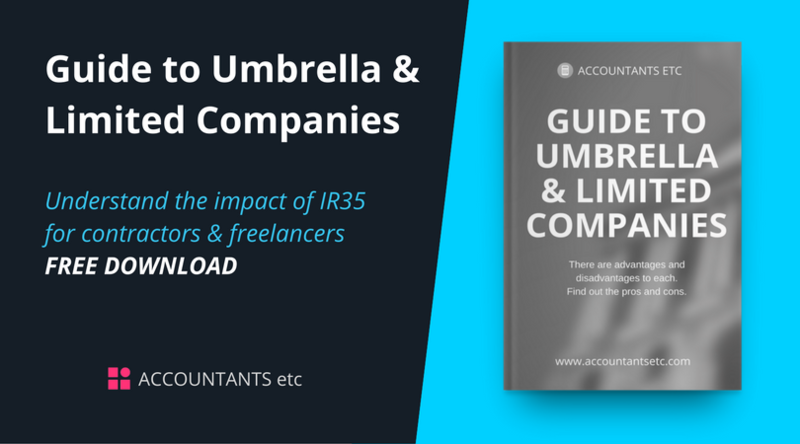 If you start a personal service company you need to consider IR35. IR35 is a set of rules to identify “disguised employees” i.e. workers who would (in HMRC’s eyes) be classed as an employee, if you removed the fact they have a limited company. Although if you are working in the public sector, the decision is now out of your hands. There are various oﬃcial deadlines you must meet. These include ﬁling your accounts, ﬁling your Company Tax Return, paying Corporation Tax and submitting a personal tax return every year. It is a legal requirement to retain ﬁnancial records for at least six years from the end of the last company ﬁnancial year they relate to. If you decide to stop trading you are responsible for the cost of closing your business.